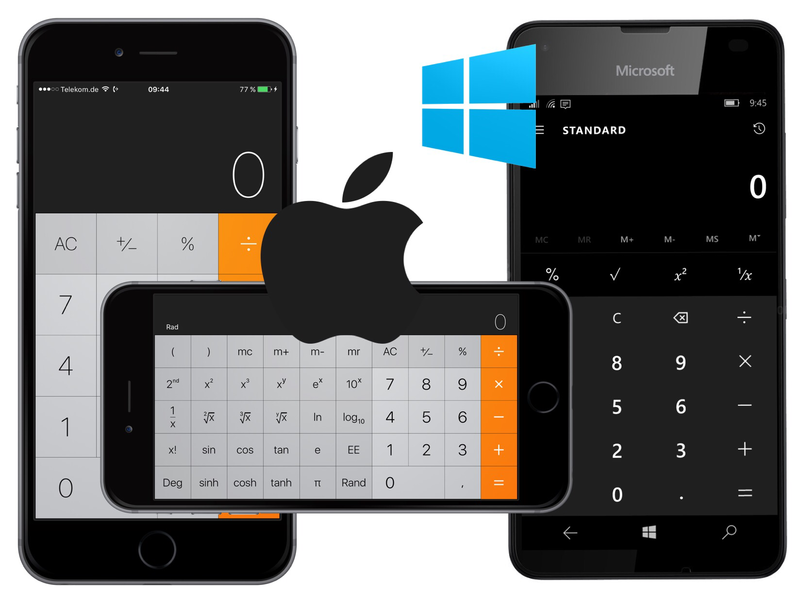 Compare these two built-in apps of Apple’s iOS and Microsoft’s Windows 10 operating systems. Apple’s iOS offers two variants of the calculator (portrait and landscape) reflecting two degrees of complexity. Did stats tell you that normal users need a square root button? Paint has come off. Is it a bug or a conscious decision? Have you ever heard of one of the core principles of design? Color matters. before designing touchable areas of mobile devices. Apple IDg does and that’s why we always get a little more. Microsoft’s calculator offers some additional features like support for programmers, date calculation, and converters for volume, length, weight and mass, temperature, energy, area, speed, time, power, data, pressure, and angle. 5 stars for the powerful add-ons.